The 23rd Annual Maguro Festival 第23回串木野まぐろフェスティバル will take place the end of this month in Kagoshima Prefecture on Saturday April 26 and Sunday April 27, 2014 in the city of Ichiki-Kushikino. This of course happens during Golden Week in Japan (this year it is the weekend just prior to Golden week). This is a local Tuna event for the port city of Kushikino. It's pretty much a county fair including games for kids, music, food and other activities for the whole family. This will be my 6th year covering this event on my blog. On a personal note, I'll be doing my very first Sasuke panel at an anime convention called AnimeNext. 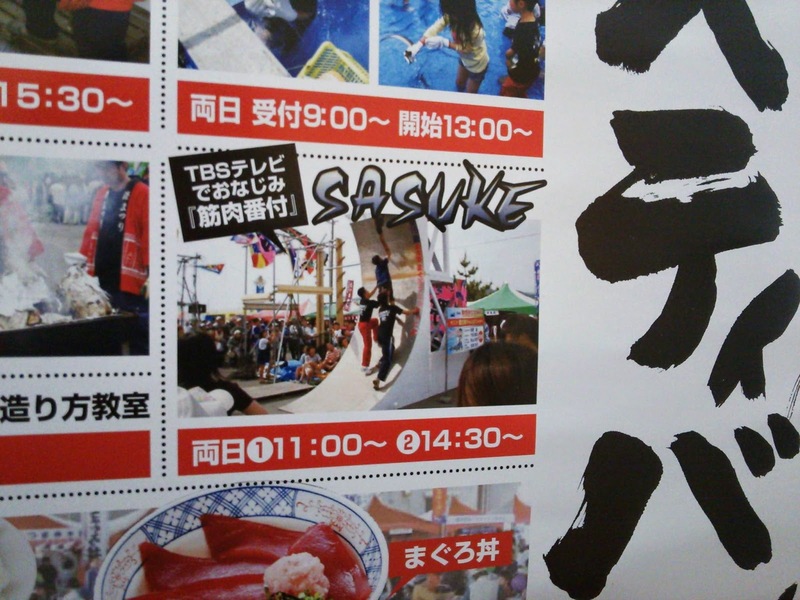 The panel is named "Rambling Rican presents: Sasuke/Ninja Warrior impact in the USA Market". Since I'll be at an anime convention, I'm sure if I just put Sasuke most people people there will think it's a Naruto panel. LOL My goal is to cover the history of the event from it's inception in Sasuke 1 all the way to present using the lens of the foreign viewers. The anime convention is as the graphic says, at the Garden State Exhibit Center on June 6-8, 2014 in Somerset, New Jersey. I'm not entirely sure which day I will be getting (hopefully the Saturday) but I'll post any news on that as the date gets closer. Wish me luck! As you know already, Sasuke 30 has been officially announced to be taking place and airing this summer. Japanese auditions will take place later this month in several cities across Japan. The application deadline for the auditions in Japan is April 10, 2014. I'm hoping the auditions and this event aren't clashing dates like last year didn't Shingo have to pull out all the stops to make both. I hope I can possibly go to this convention, because I REALLY want to meet the All-Stars, especially Shingo. That would be awesome. Hey Uk! The auditions are for the new people (not established people) like it was in 28. 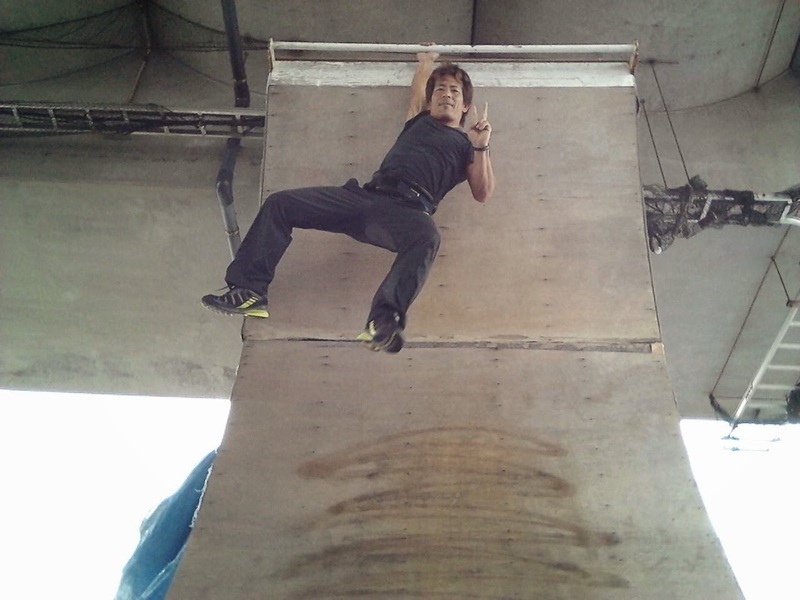 29, Shingo wanted to do that to earn his spot back even though the rest of the All-stars that were there didn't have to qualify. I don't expect any of them to have to do that again now that TBS realized fans will boycott the show if they aren't there. Taylor, I think you are confusing the 2 events. Maguro Festival is a yearly festival in Japan. AnimeNext is in the USA and only I am going to do that event. The All-stars are not coming to AnimeNext. Oh OK, thanks. Yeah I really did get those two mixed up. Sorry about that. Either way, I'd love to meet the All-Stars. Giggles. You live near there? I'm about an hour south.